UND announced today several changes to administrative positions that will be coupled with other actions across campus to align the University’s budget with current funding expectations and to provide for strategic priorities. UND archival photo. The University of North Dakota is moving forward to make necessary budget cuts, starting from the top. Recent decisions made by members of President Mark Kennedy’s team will open up opportunities to do just that. 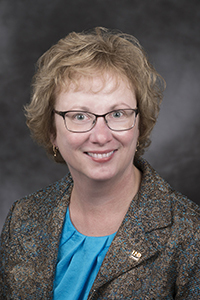 UND Vice President for Finance & Operations Alice Brekke has announced that she will enter into a phased retirement plan that would reduce her workload percentage progressively over two years to a full retirement in the summer of 2019. Brekke remains in her current leadership role through fiscal year 2018, and eventually will be replaced. 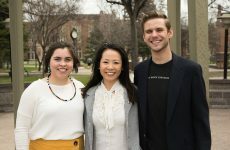 The phased retirement plan will allow Brekke independence in assessing and facilitating a process for shared services and centralization on campus. 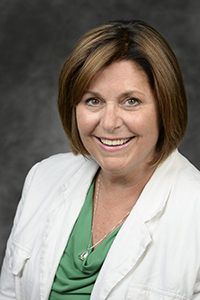 Interim Vice President for Student Affairs Laurie Betting has also announced that she will retire this summer. She will then continue to assist in wrapping up major projects within the Strategic Planning Committee and more. Betting’s retirement will come into play in a realignment of units falling under the Vice President for Student Affairs and Office of the Provost/Vice President for Academic Affairs. Effective February 21, Student Academic Services will report to the Office of the Provost/Vice President for Academic Affairs, and the Office of Diversity and Inclusion will report to the Vice President for Student Affairs. International Programs will remain with the Office of the Vice President for Academic Affairs. Betting says the realignment will help to better serve the needs of underrepresented students. After Betting’s departure, UND plans to merge the roles of VP of Student Affairs and the Dean of Students/Associate Vice President of Student Affairs into the position of Interim Vice President for Student Affairs and Diversity. That merged role will be filled by current UND Dean of Students Cara Halgren, eliminating an administrator position. “I really believe in the direction this place is headed and I believe strongly in the leadership. If we can pull in the same direction, we’ll be far greater than we’ve ever been,” Betting said. After nearly 29 years of serving the University, Interim Vice President for University and Public Affairs Peter Johnson has applied for voluntary separation effective July 1. After that time, he will continue to assist with transitional public affairs needs at a 25-30 percent capacity for an interim period. 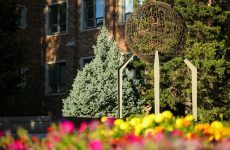 The executive associate vice president for university relations position that Johnson formerly held will be eliminated. 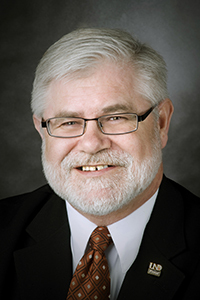 Grant McGimpsey, Vice President for Research & Economic Development, has reorganized his division, reducing two executive positions in the process, while continuing to provide the support essential to continue to grow UND’s research activities. Associate Vice President for Research Capacity Building Mark Hoffman has made the decision to rejoin the Chemistry department as a faculty member. Once he transitions, the AVP role will be eliminated. “I have very much appreciated his efforts to elevate UND’s research capacity through our EPSCoR (Experimental Program to Stimulate Competitive Research) program,” said McGimpsey. The Assistant Vice President for Grants and Contracts position has also been eliminated after being vacated by Dave Schmidt earlier this fiscal year. Brekke notes that voluntary separation and phased retirement applications are still being processed, and those results have the potential to further impact what is done structurally across all bands. “Through all of our conversations, we’ve tried to be very cognizant of how we best structure with a focus on students and student success,” she said. Replacing the President’s Office’s event coordinator position, vital to UND’s community engagement and fundraising activities, will be put on hold for the interim. 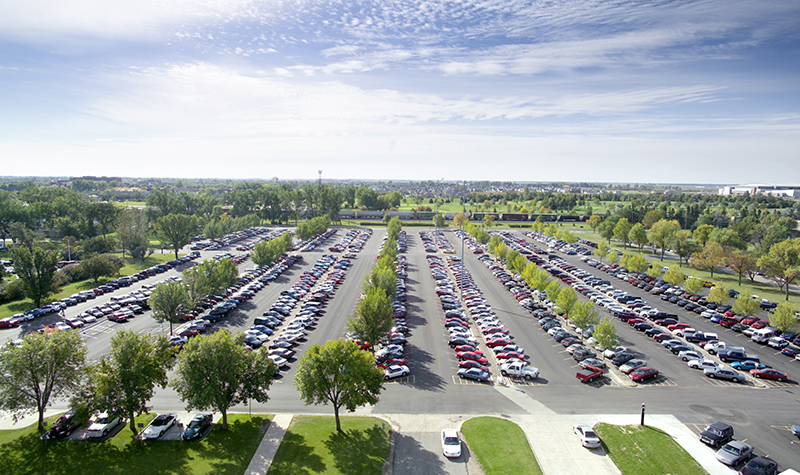 UND has kept growth in its non-instructional employee sector minimal. Data from the 2015-2016 North Dakota Legislature’s Interim Higher Education Committee shows only a 4.7 percent rise from 2007 to 2014—one of the two lowest rates across the 11-campus North Dakota University System (NDUS). At first glance, an additional report compiled by the NDUS office suggests that UND has more staff in the executive/administrative classifications than NDSU. However, if staff from UND’s primary applied research center—the Energy & Environmental Research Center – is accounted for in a manner similar to NDSU’s primary applied research activity in agriculture—the Extension Service—the schools are comparable (UND has one fewer). Language has been proposed within a Senate appropriations bill that directs the State Board of Higher Education to find a way to harmonize those classifications. Not yet reflected in this comparison is that once the above four position eliminations are complete, UND will have reduced its executive officer count by more than 20 percent to six vice presidents, seven associate vice presidents and two assistant vice presidents. These changes will be coupled with other budget actions across campus to align the University’s budget with current funding expectations and to provide for strategic priorities. Academic Units – The Executive Council conducted extensive analysis of the relationship of factors such as credit hours, graduates and research (grants, publications and creative work) relative to the number of faculty in each unit. While it revealed significant variability within and between colleges, and given the significance of the budget reduction that UND needs to absorb, the Executive Council did not find conclusive evidence to vary the budget targets by college at this time. Therefore, each college is being directed to finalize their plans for a reduction in appropriated funds by 12 percent. Just as the overall university is reserving a fund to invest in strategic priorities, colleges are encouraged to conduct the same strategic prioritization. 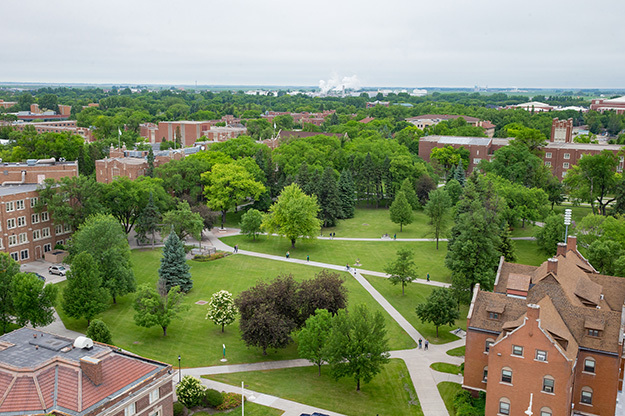 As UND assesses the impact of its voluntary separation and phased retirement programs and keeps an eye on legislative action in the coming weeks, its hope is to provide additional strategic direction on funding to academic units based on the data collected and noted above. SMHS – The UND School for Medicine and Health Sciences, which is separately appropriated by the State Legislature, has been given a 10 percent budget reduction target. Athletics – UND Athletics has been asked to find ways to cut $1.3 million from its budget. Support – Reduction targets in support areas of 12 percent will be identified across the support units. Each of the above units are asked to report their draft plans to their respective Executive Council member by Monday, March 6. Should funding expectations change in the weeks ahead, these targeted numbers may see modifications. A weekly campus forum will begin next week to address any budget-related questions. One or more members of the UND administrative team will attend to present updates and lead discussion. The first forum will be held Wednesday, February 22 from 3-4 p.m. in Education Building Room 7.